Nestled amongst Unley Road favourites A Mother's Milk, Rosey's and Pickle In The Middle sits Nook Nosh, a small bar and eatery serving up local, South Australian produce, wine and craft beer. 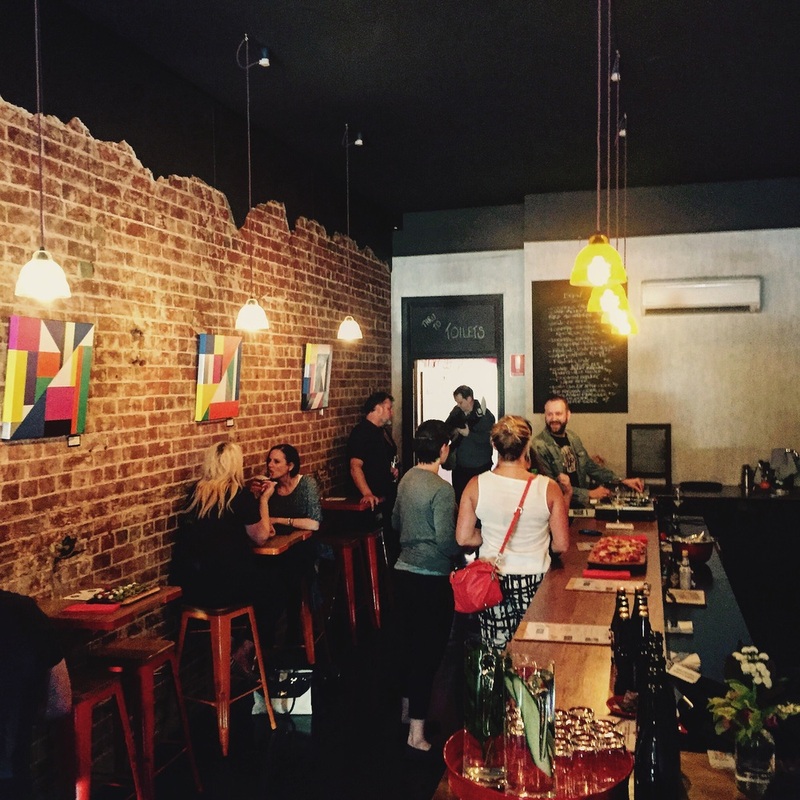 Known among locals as the perfect place to get an afternoon deeee-light, Nook Nosh is the ideal destination for a drop of local wine, beer or cider in a funky, urban atmosphere. Art by local artists don the brick cladded walls, while locally sourced cheese, dips, chorizo and other small goods make up the shared tapas style menu. A recent addition to Nook Nosh is the outdoor courtyard, a perfect space for a sunny Sunday sesh or afternoon with friends. The new bar garden is also home to an environmentally friendly hessian green wall, fenced off by wooden planter boxes and brought to life by the red chairs, adding a pop of colour. The new courtyard addition also welcomes a line-up of weekend entertainment, including quirky Saturday night disk jockeys, and live acoustic music on Sundays. If you're looking for a small intimate bar that serves food from afternoon til late, it's essential you give this little place a visit! OPEN: Wed - Thurs: 3pm - 10.30pm, Fri - Sat: 3pm - 12 midnight, Sun: 3pm - 8.30pm.